Oliso Touch&Glide, the iron that senses when you let go, and automatically extends legs. Less than two months after iRobot announced its Scooba floor-cleaning bot, the Orazio, from Italy’s Zucchetti, is ready to slide across those scuffed and dirty hardwood floors right after it. According to Zucchetti, the Orazio doesn’t just clean floors, but can them as well. Oh dude, if only we could have had one of these babies for our dorm room back when we were slaves to the higher mind. Nespresso Essenza. Sure, capsule packaged coffee may not ever beat the fresh-roasted. DT-120″ phone with answering machine, the “DU-119” phone with nary an answering machine, the CR-202 learning remote, and the CS-115 stick-shaped cleaner. The experimental designed also uses fabric pocket bags for interior storage instead of the normal plastic shelving dealies, which supposedly increases air circulation and allows easier storage, with the drawback of encasing your food in what look sorta like body bags. 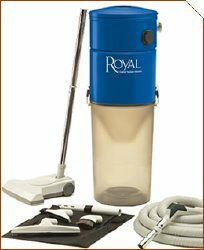 The Model CS800 central vacuum from Royal covers a maximum home size of 8,000 sq. feet and has a 5.7” 2-stage-motor. This system has 525 maximum air watts and six gallons of dirt capacity. This washmachine from Samsung it’s very interesting! Base power unit. 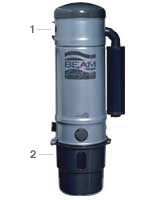 Self-cleaning CleanStream(TM) Filtration system, patented Quiet Pak(TM) insulation package, and Sound Off(TM) Muffler. Tthe Electrolux CleanStream™ filter from the makers of GORE-TEX® fabric that screens particulates as small as dust mites, pollen, plant spores, and tobacco smoke.